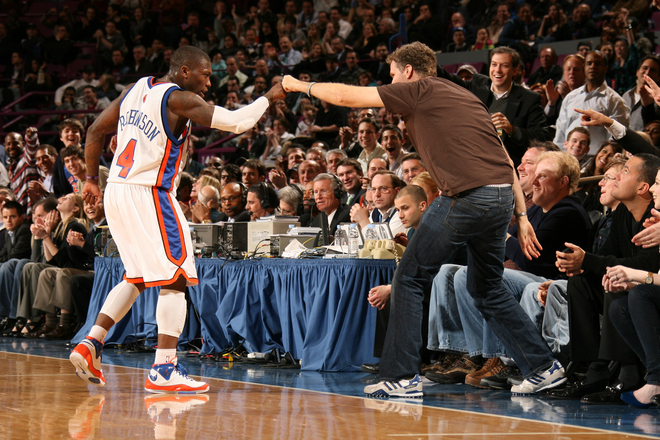 BREAKING: NATE ROBINSON TO LEAVE CHICAGO, NEW YORK POSSIBLE? It has long been rumored that Robinson would depart the Bulls in free agency and now the only question seems to be: “where will Nate go next’? The Knicks, according to some reporters, have shown interest in adding another quick, penetrating Point Guard, and Robinson would certainly fit the bill if the salary works out. And, of course, if he can put aside his beef with Steve Novak. Do YOU want to see Nate back in Orange&Blue? Let us know in the comments! This entry was posted in Articles and tagged KNICKS, knicks free agents, KNICKS MEMES, Knicks news, nate robinson, nate robinson knicks on May 29, 2013 by Tommy Rothman. ^damn, my exact thoughts. korver >>>> novak. he can rebound and pass better… oh yea, he can actually DRIBBLE too, so itll def be a plus to spread out the floor. but again, salary is a problem.. jarrett jack should also be on top of the knicks’ list, as well as jose calderon (if he’s willing to take a pay cut). I’d actually trade Novak out. Go after Kyle Korverd and Nate Robinson!